Christine has always been an animal lover and entered the veterinary field in 1997. Christine is well versed in every facet of veterinary practice, both in front of and behind the desk, and finds great satisfaction in helping to enrich pets' lives and owner awareness. In her words, "if pet families are well informed in all aspects of their pet's care, the bond between them is enjoyed and experienced to its fullest potential." As a valuable member of the Happy Pet team, she brings compassion, practicality, humor, and focus. She is proud to have been a part of the Happy Pet experience since its inception in 2004. She has a chocolate lab who doesn't act any bit of her 14 years! 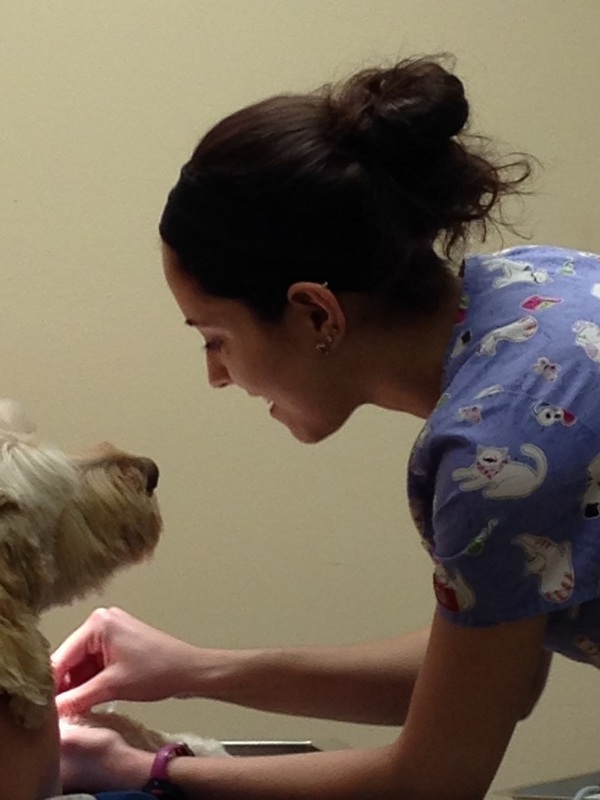 With over 12 years in the veterinary field, Andi simply loves this profession! From the joy and adjustments of new adoptions, through milestones and illnesses, to helping pets and their families with end of life care, she feels truly blessed and honored to be a part of it all. Andi enjoys the individual personalities of the pets and has a particular tenderness towards the seniors- believing that they hold such wisdom and countless stories. She laughs that younger pets "live in the moment"….. and that can translate into "T-R-O-U-B-L-E"! She shares her own life with a 9 year old kitty and 12 year old Corgi, and a "trouble-maker" Jack Russell Terrier of her own. With her knowledge, humor, compassion, and ability to multitask like a PRO, she helps to keep all of us at Happy Pet rowing in the same direction! Marie has always known that her career would center on her love of animals. She holds two advanced degrees: one in Applied Business Administration-Management and an Associate’s degree of Applied Science in Veterinary Technology. Both degrees were completed with honors. She enjoys the constant learning involved in being a vet tech and loves connecting with the pet patients and their owners. Her own pet family currently consists of two kitties who enjoy waking her up in the early morning hours to play! 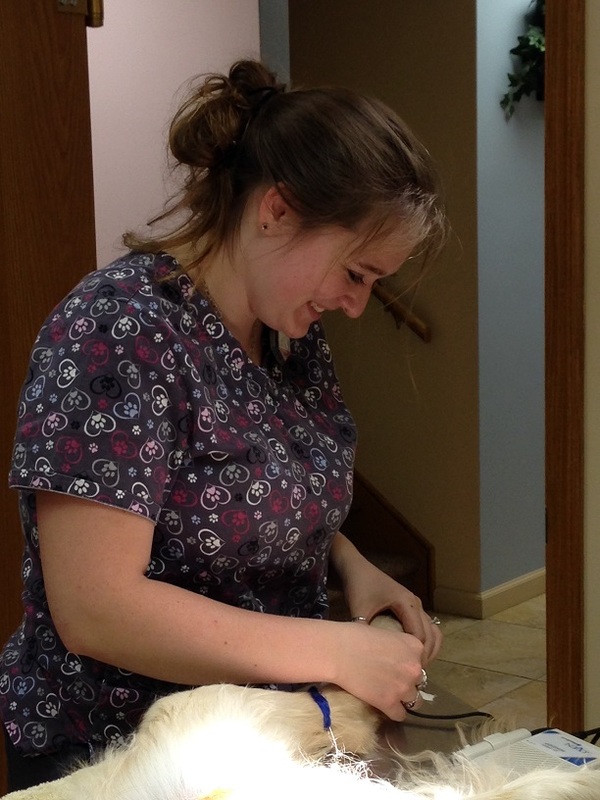 Emma received her Associates Degree in Veterinary Technology in August 2014. 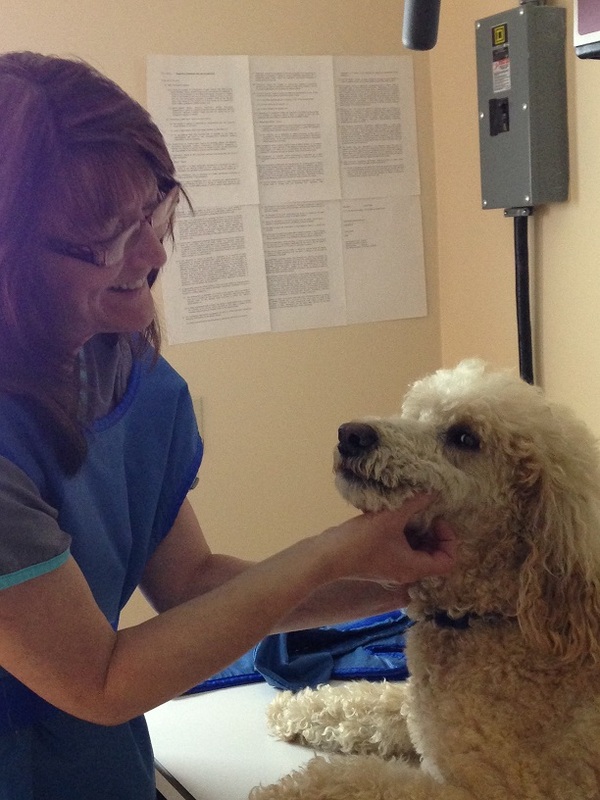 Her two favorite aspects of practice are assisting in surgery and being able to help pets who are sick or injured. Emma is a very trusted member of our staff as she has quickly built her skill set by being willing to help and eager to learn. Above all, she is compassionate and kind. She has a soft spot for pit bulls and yorkies- and has one of each of her own! She also has a couple of kitties, a sugar glider, rabbits and guinea pigs! 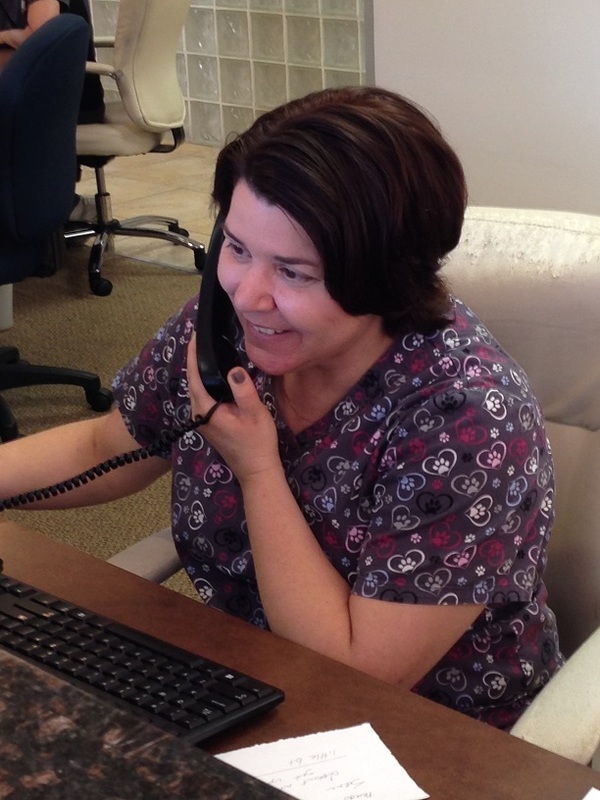 Jennifer has been in the veterinary profession for over a decade. She is a true gem and a lovely key player of our staff, demonstrating compassion and sensitivity towards each pet and client, and a soft spot for our seniors. She loves the opportunity to help those who cannot speak for themselves (woof, woof! ), bringing comfort to those who need it, and is a sucker for puppy breath! "Every appointment is different", she adds, smiling.